At this point in the 2015 Milwaukee Brewers season, the pitching staff has allowed twice as many home runs as the offense has hit (allowed 42, hit 21). Not a great stat to hang your hat on for the team. But there have been times in the past when the home run has been an important part of the team’s success. And, there have been a few times when one player has supplied significant power at the plate all by himself. There have been 19 times in the team’s history that a Brewers player has hit three home runs in a game. Thirteen different players have homered three times in a game for the Brewers on at least one occasion. Here’s a handful of stats re: Brewers players who have hit three home runs in a game. 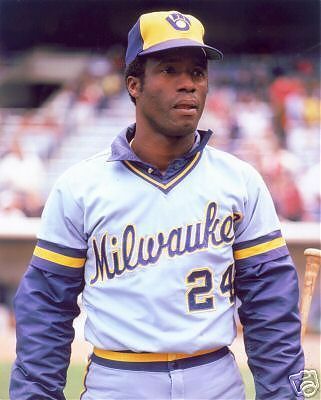 * The first Brewer player to hit three HRs in a game was Ben Oglivie on July 8, 1979. * The Brewers are 18-1 in games when one of their players has a three-HR game. The only loss was on May 12, 1982 versus Kansas City when Paul Motitor had three HRS in a 9-7 loss to the Royals. * Oglivie holds the Brewers record with three games with three homers. Four other players have hit three homers in two games for Milwaukee: Jeromy Burnitz, Geoff Jenkins, Richie Sexson and Ryan Braun. * Burnitz and Sexson hit three home runs in the same game on August 25, 2001, a 9-4 win over Arizona. * The last Brewers player to hit three jacks in a game was Braun on April 8, 2014. * Most RBIs in a game when a Brewers player hit three HRs is seven; both Corey Hart (5/23/2011) and Braun (4/8/2014) had seven RBI in their three-HR games on those dates. * A Brewers player had hit three-HRs in a game three times against the Detroit Tigers, most of any opponent. * A Brewers player had a three-HR game four times in 2001, most of any season. * Of the 19 times a Brewers player hit three HRs in a game, 11 happened at home, eight happened on the road. * Here’s a look at which months these 19 occurrences happened for the Brew Crew: April-5, May-5, June-1, July-4, August-1, September-3. * Of the Brewer players who hit three HRs in a game, six were playing left field in the game, five were playing first base, four were playing right field, two were playing third base, and one each were playing second base and shortstop. * Of the Brewer players who hit three HRs in a game, five were batting third in the order, four each were batting fourth or fifth in the order, two were hitting in the sixth spot, one each were hitting first, second, seventh and ninth in the order. Dale Sveum was hitting ninth in the order when he had three HRs on July 17, 1987.